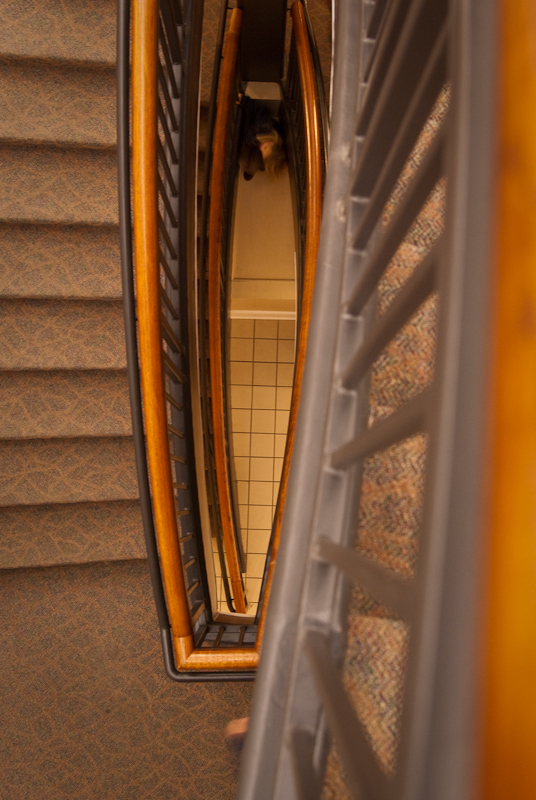 The curves of the stair rail caught my eye. Photography Tip: Zoom with your feet. Shoot at the same focal length for a day. This is a fabulous shot – I love the person at the bottom. Excellent! !